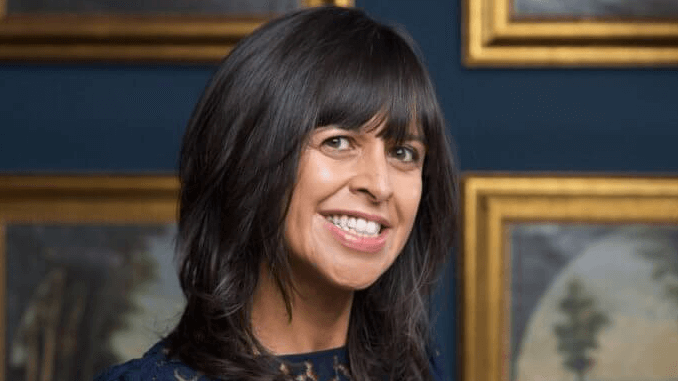 Amanda Thomson is a former BBC television presenter and now CEO and Founder of Thomson & Scott, winner of the EY Winning Women 2017 and the Le Cordon Bleu Entrepreneur of the Year 2017. Her brand of high end prosecco and brut wines have been a huge hit in the UK, and the entire range is plastic-free, recyclable, and vegan to boot. Amanda is leading the transparency in wine movement by creating a company that asks consumers to demand to know what’s in their bottles. By example, Thomson & Scott produces top quality Champagne and Prosecco with as little intervention as possible in the production process and highlights its vegan and organic credentials. We spoke with her about her brand and plans for the future. What is the story behind Thomson & Scott and the company’s origins? I was raised on a vegetarian, sugar-free diet by my health-conscious mother and have always had a keen interest in what’s in my food. I later discovered that there was more than just grapes and alcohol in my favourite drinks. After a successful career as an Arts Broadcaster at the BBC, I moved my young family to Paris and studied for a Diploma in Wine at the renowned Le Cordon Bleu School. My Skinny brand now sells in key territories around the world including the UK, U.S., South Africa, New Zealand, Mexico and Hong Kong. In an effort to be the first wine company to also put a real focus on wine packaging and its harmful impact on the environment, all of our own deliveries are made with packaging that is 100% recyclable. Why do you think 2018 is the “year of the vegan” – and there is currently so much interest in vegan products? Consumers are becoming much more aware about what they put in and on their bodies. Food makers and sellers are reacting to greater demands for provenance in food sourcing, sustainability and preparation. Vegan options are becoming more readily available and the concept is shaking off the old hippie stereotype from which it previously suffered, leaving it on the fringes of the food industry. But whilst everybody is obsessed with what’s on their plate, few people ask what’s in their bottle. We’re leading the charge in changing this globally. We’ve had exciting success across the board from high end department store chains like Selfridges and Harvey Nichols to health food brands like Planet Organic and also the big players like Ocado and Amazon. How was the year for your company? We’re expanding at a rapid rate across the world. The U.S. is our next big market with our bottles already in Boston and launching in Texas and California in the Autumn (fall). Also, South Africa is launching this year along with New Zealand, Mexico and other major territories coming online next year like Canada and Australia. Everyone drinks Prosecco but it remains very much unbranded territory. We wanted people to go for either Prosecco or Skinny Prosecco when we launched. It was memorable and it made a lot of noise in the press, trending twice on social media round the world and selling out in its first three launch weeks. Where are your products currently available? UK, Ireland, U.S. (Texas, Boston with other states coming online in the next few weeks), South Africa, New Zealand, Mexico, Hong Kong… even Fiji! What is the target group of your company? We connect very well with young-minded consumers willing to be progressive with their lifestyles. Our core demographic is women aged 20-34 with our second tier being slightly older women. But the men are gaining ground. We went from a five percent male audience in 2016 to a 15 percent share this summer. We support Pride London, fitness partners like Joe Wicks, LoveFit and Barry’s Bootcamp and this helps our core audience understand that you can have a drink and know what you’re consuming because we’re as transparent as we can be with our labelling. We want to change the way people drink wine for the better, one beautiful bottle at a time. We’re not about racing to the bottom of the price war. We don’t apologise for being a little more expensive. Our products are made by arguably some of the best wine-makers in their sector of the business. In your opinion, why should the alcoholic beverages industry continue to rely on vegan products? Drinking alcohol will in the future become less and less accepted by society and steps need to be taken to inform people about what’s in their alcoholic drink and for wine companies to be much more transparent in their modes of operation. Are vegans a serious target group? Yes. The recent growth figures for vegans in the UK and elsewhere are staggering to look at. And it’s not a fad. People are changing their lifestyles, not just temporarily jumping on a short term vegan diet. We can’t see consumers who choose vegan options rushing back to meat and fish they know could be bad for their health. Equally, people want to party and nothing says that more than corks popping. We just want to make sure they’re our bottles they’re opening! Continuing to lead a growing Global Transparency in Wine Movement with more wine makers being inspired to produce in a purer way. Will you bring more vegan products to the market? Yes. 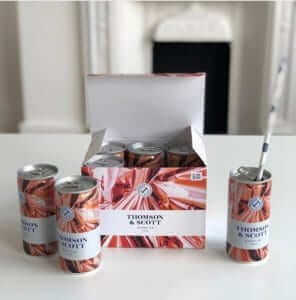 We have a number of exciting products launching in the coming months – one in particular for those who don’t want to drink alcohol but want to join the party and not be stuck on soda water with lime! Watch this space! Are you seeking partners or investors and if so which kind? We’re always seeking engaged, progressive partners with similar aspirations to us about provenance, sustainability and being environmentally aware. We became 100% plastic free earlier this year and are proud to be 100% recyclable in everything we produce from glass and paper to the straws with offer with our aluminium cans and glass bottles. Regarding fundraising, we are looking at an upcoming raise due to such dramatic global expansion. Anything further or of interest that you would like to add? We would love to work with an English wine maker but at present most of the bottles on offer contain too much sugar for us. We’re hoping that within the next few years this will change. 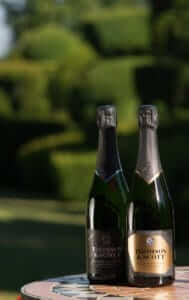 We’d love nothing more than to have a Thomson & Scott English Sparkling Wine to show off to the world!